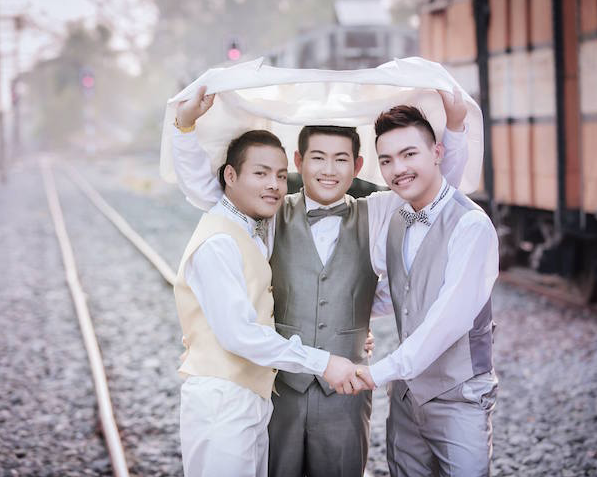 Three men were married, Thailand. 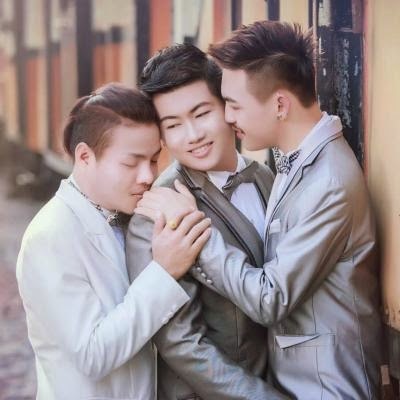 Three men who married each other on Valentine’s Day have become internet sensations in Thailand after photos from their pre-wedding shoot went viral. 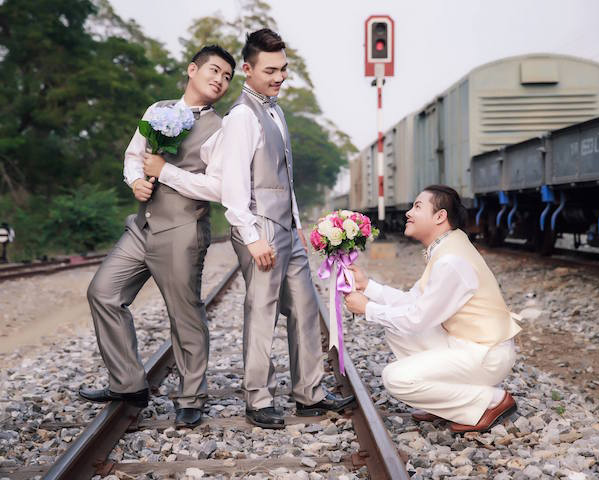 Netizens congratulated the men, only identified as Joke, Bell and Art, who were married in a traditional water-pouring ceremony at midnight on 15 February. On one TV station's Facebook page alone, a photo of the men had more than 50,000 likes and 1,000 comments. 'Love occurs unconditionally and is not limited to only two people. Love brings peace to the world,' Art commented on Facebook. The trio reportedly spent their honeymoon in their home province of Uthai Thani. 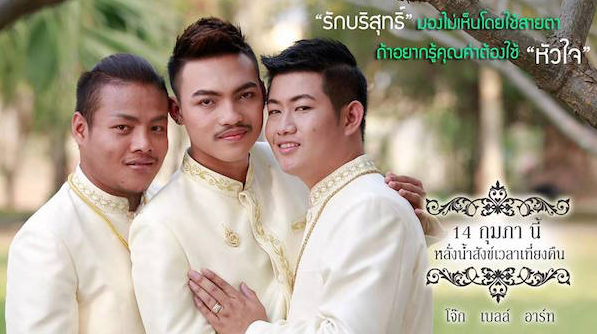 The wedding itself was a symbolic one as gay, and threeway, relationships are not recognized in Thailand.